The little "Hissy Fit Committee" meme above certainly does not apply to the confident and intrepid little waif we rescued last night. We were driving home in the pitch darkness and rain (Yay...we finally broke our 100-year record for number of consecutive dry days!!) on a steep mountain road far from any houses when this little creature darted across the road! At first I thought it was a weasel, already in winter whites, but as we got closer we realized it was a kitten. Oh, my....we had to stop, of course. The poor thing was wet, cold, hungry and dehydrated. He broke into the hugest purr as soon as my son picked it up. Awwww... We brought him home and treated him for fleas (little guy was covered with them!) and fed him. I don't think he has stopped purring since! Right now we just call him "Little Kitten"
The kitty obviously has been around people but I can't imagine someone abandoning a kitten this beautiful and good-natured!! It is equally perplexing how he could have wandered off from someone's house to be found where we picked him up. Overnight, the fleas all died and he cleaned up his long silky coat and is quite the handsomest little cat. We estimate he is 10-12 weeks old and is one of the absolute nicest kittens we've had for a very, very long time. He is litterbox trained and doesn't tease the big kitties. Since he has white ears (and white everything else except for a couple little gray dots between his ears!) we can't keep him. We have so many intensely sunny days at our elevation and not a lot of shade on our property that white ears get badly sunburned. Even though we apply sunscreen, the kitties can develop skin cancer. I never want to go through that with one of my kitties again!! :( :( :( So I draw the line....NO WHITE EARS!! My vet hubby who works out of state will take him to work sometime soon and will have no trouble finding a home for this beautiful, affectionate little kitty!! In the meantime, we will consider ourselves blessed to be fostering him. We will love him and take care of him so he will be the perfect companion for someone who perhaps has recently lost a kitty. I also am entering this card in the Winnie & Walter Rerun #23 Challenge - Tree for all Seasons. I don't have the rerun set, so I drew inspiration from one of the fabulous cards featured on that post: Vanessa's gorgeous blue card. Oh, my....so beautiful!!! Hope you liked meeting our new little foster kitty and enjoyed seeing my card. Thank you so much for stopping by!! Be sure to check out my two GIVEAWAYS currently going on...HERE and HERE. 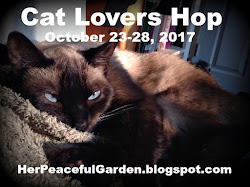 :) And don't forget to be getting ready for the Cat Lovers Hop, October 23-28, 2017. Purr. What a pretty background you've created for your lovely card! Love those butterflies! So happy you linked up to Cropstop, and I hope I'll be seeing more your cards in the gallery this month! Oh, my goodness, he is soooo cute!!!! Wow, is he cute! We have two rescued felines living here and they do not get along. It's so sad but we love them both! I have added the cat lovers badge to my blog. I look forward to adding an entry and playing along. Cats are among my favorite things! Your butterfly card is beautiful! (I found you from Janine Brain's Brain Waves blog. This card really is a beauty. 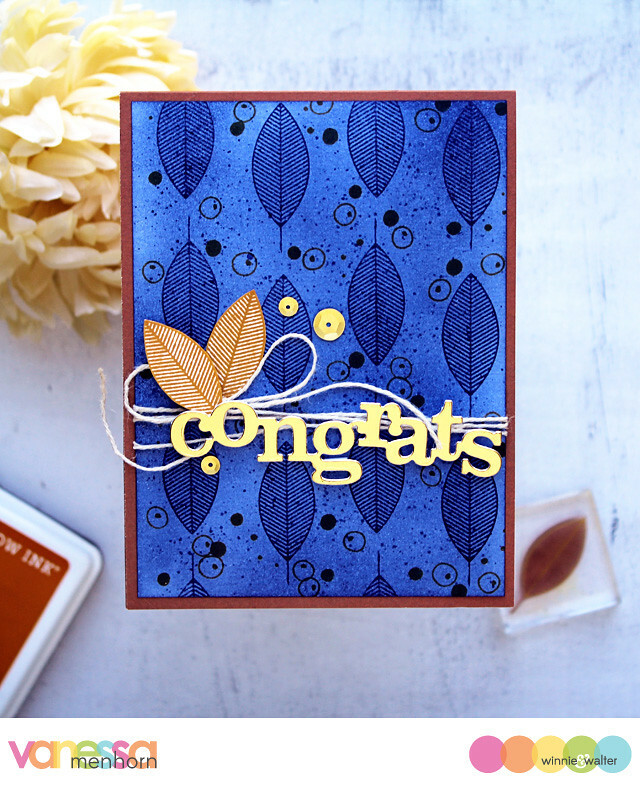 I love how you have used the paper for the embossed resist effect. Very clever and very elegsnt looking. Thankyou for fluttering into the garden. Hugs Mrs A. So many 100 year records being broken this year! Wish I lived closer and could adopt. 😻 Love the pretty butterfly background you've created!! this si so nice card! WOW is right! 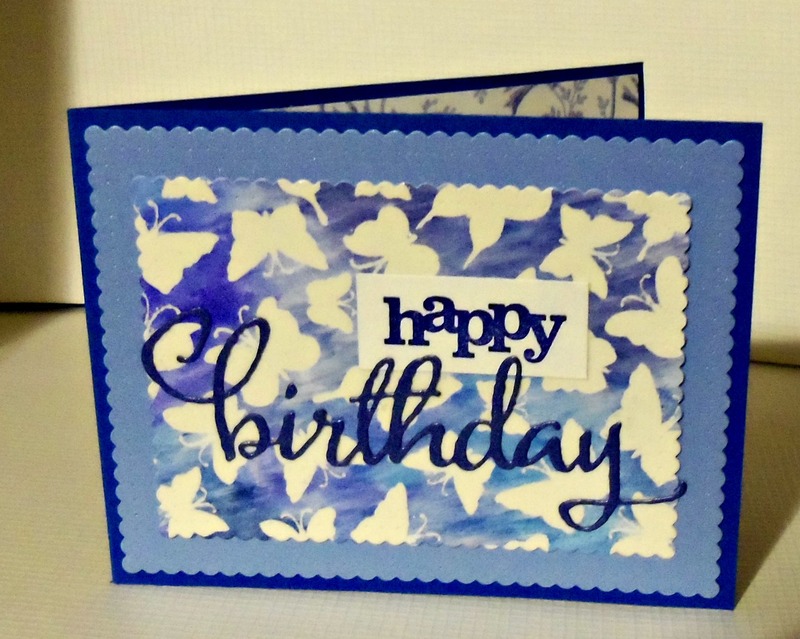 That embossed resist paper couldn't have been more perfect for the Butterfly silhouette challenge and it's so fun that you remembered it. Isn't it great when you have just the ideal supply for a card and then you can actually put your hands on it?! How lucky for that little white kitten that it was you driving by when he ran across the road. Hoping you find a nice home for him soon but in the meantime you were certainly his guardian angel.